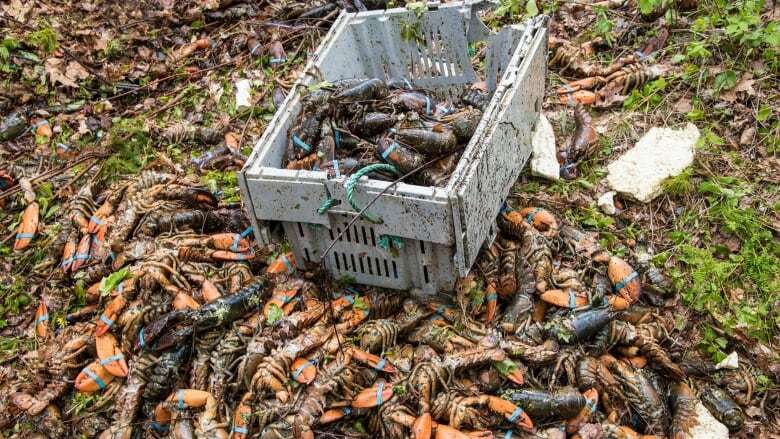 A quick swerve to avoid a deer was all it took for a tractor trailer to spill hundreds of live lobster onto Highway 103 in Nova Scotia, said the RCMP. It happened early Saturday morning around 1:00 a.m., near Port Mouton on the province's south shore. 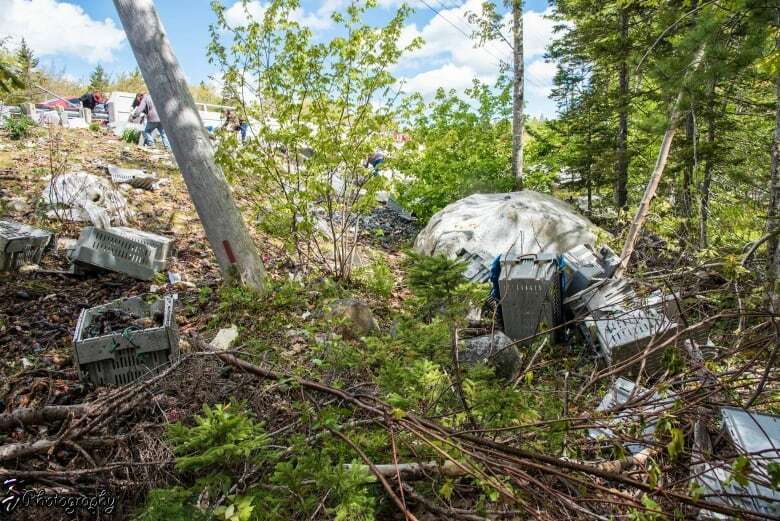 The RCMP said the driver of the truck was taken to hospital as a precaution and was then released. Police have not released the name of the company trucking the lobster nor where the lobster was headed. It's also not clear exactly how many thousands of pounds of lobster were spilled. "It was amazing how many lobster there were, there were parts that were just carpeted down through the ditch, and I would have got there a good 12 hours after it happened," said Vicki Grant, who owns a cottage in nearby Port Joli. She was driving by the scene and stopped to find out what happened. 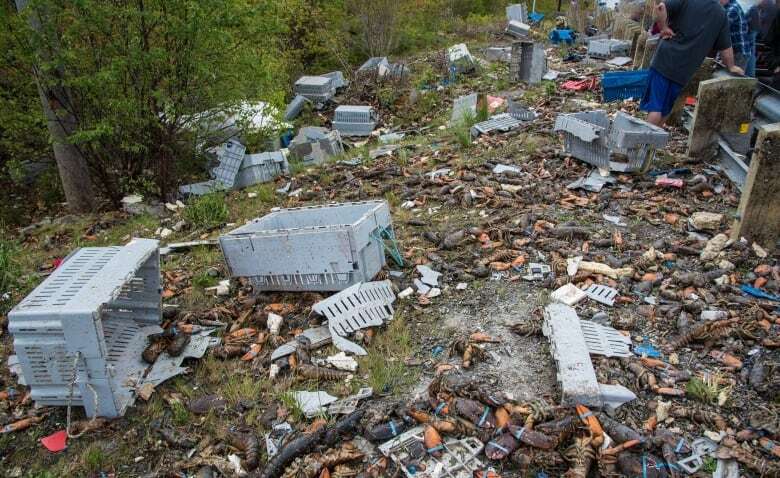 Grant said people were in the ditch with garbage bags filling them up with lobster. "Some people had their kids further off in the ditch kind of scrambling around trying to get the good ones. It was quite a scene. The lobster looked, I mean they were good, fat, previously healthy looking lobster." "I mean I did have a moment where I was thinking I wonder if I shouldn't pick up a few," said Grant. But the strong smell coming off the lobster kept her from picking up any. The RCMP said reports that they allowed passersby to collect the lobster are false. By the time Grant passed by the area again around 6 o'clock Saturday night, all of the lobster had been cleared away. The road was closed for several hours while police investigated, it has since reopened.